We all know breakfast is the most important meal of the day. We also hear how we should always eat breakfast. Yup, makes sense. No, I don't have time for that! That was the one that made the most sense to me (honestly, it was the easiest), so I decided to try it out. Lo and behold, it worked! And it keeps working! Fantastic! Let me explain; "glue" in this case is what binds the bars together. I've used unsweetened applesauce, either with just apple or apple-strawberry, apple-mixed berry or any other combo with a few tablespoons of honey. 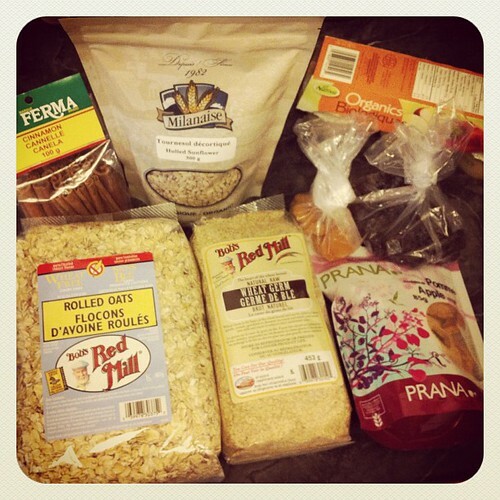 First measure the rolled oats into a bowl. Start adding your other ingredients. This is not an exact science, so use what you like in amount you like. I basically just started filling a measuring cup with different things, first a few tablespoons of wheat germ, then a few crushed pieces of dark chocolate (I used organic 70% chocolate) and top off the cup with sunflower seeds. Then I added 1/2 cup of raisins. Finally I added 1 cup of finely chopped dried fruit. I love dried peaches, so I added those, but whichever you like will surely do just fine (not sure about dried banana, since it's hard, I'd use any soft fruit/berries). I've used apricots, kiwi and cranberries. Just test out what works. Bake at 350 F for about 25 minutes. 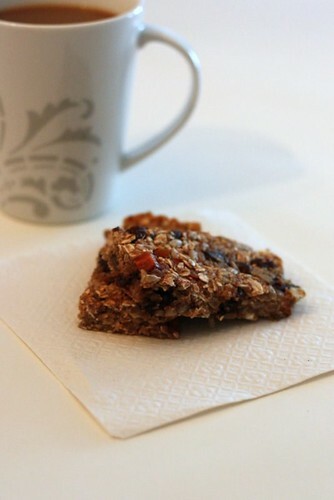 Once it's cooled, cut into bars (squares, whatever shape you like). 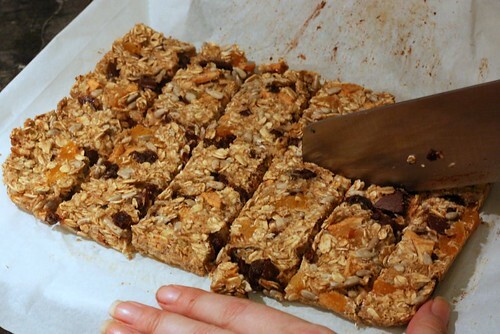 Have you tried making granola bars yourself? What's your favourite combination?